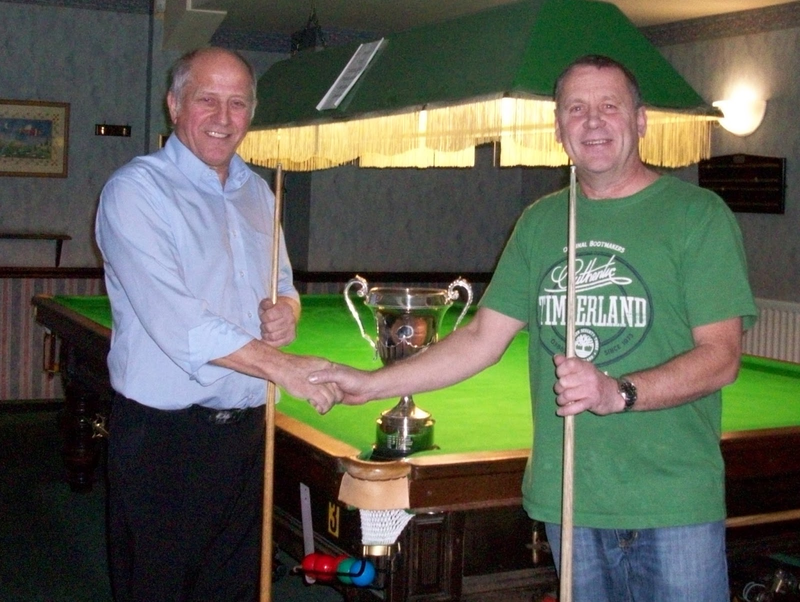 After overcoming John Percival and Kevin Shackleton in the semifinals, the 2012 competition final was a battle between Club A Team members Mike Sullivan and Andy Scott. While the final two frames to nil scoreline seemed a little one sided, the gathered crowd had plenty of entertainment. 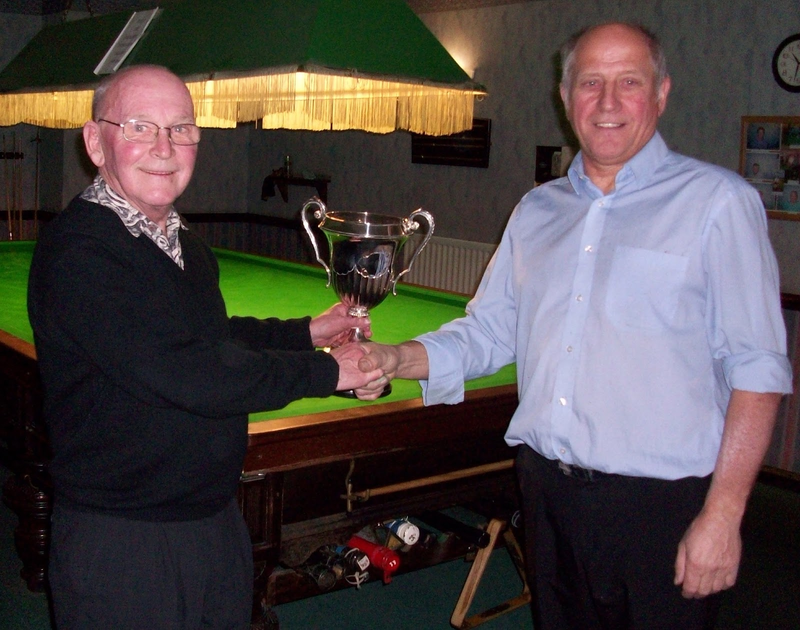 To win the trophy Andy put on a performance that ably demonstrated his consummate snooker skills. Meanwhile spectators witnessed Mike's impression of classic Joe Davis billiards play, as the white ball disappeared into various pockets with unnerving frequency. Most importantly the evening was enjoyed by all attendees. Immediately after the presentation Richard brought out the hot pot supper - which with a pint of Bass guest ale helped to keep the midwinter chill at bay. So, congratulations to Andy on becoming our 2012 champion. The gesture of both finalists to donate their winnings to the Beating Bowel Cancer charity fund was warmly appreciated. Thanks also go to Kevin Shackleton for organising the evening, all those who took part in the knockout rounds.